Okami HD is ranked in the 98th percentile of games scored on OpenCritic. Minor tweaks and a resolution upgrade wouldn't be enough for a re-release to be recommended, especially if – as in this case – it was the third such re-release. But Okami manages to sidestep that sort of criticism for two very good reasons. One, it's a superb game full of wit and imagination; and two, not that many folk have played it. Ōkami is to video games what something like Spirited Away is to film; it's not only beautiful and powerful, but it speaks to the very core of the Japanese soul, and because of that it's hugely educational to anyone that has an interest in the country and its culture. Having the chance to once again return to Nippon, I can wholeheartedly say that (after eleven years) Okami HD is still a masterpiece, standing the test of time through two generational console jumps. Put frankly, it is a work of art and a prime example of the ingenuity, creativity, and brilliance key development teams brought to their work on the PlayStation 2. Here's hoping that Okami HD receives the sequel it rightfully deserves. I’m gonna be honest with you. I did go a little ham on this review and I don’t really remember if I have to mention anything else, but I am pretty sure I covered the main aspects that I had to so take my word for it and go buy the game … it’s a great game, I have nothing to complain about. It’s engaging, immersive, dynamic, unique – not only in mechanics but the sumi-e art style as well, has over 120 pieces of music, that you never get bored of, a lot of character development and world-building … I am obviously gonna give Okami a 10/10, no regrets, go buy the game. Okami HD is a beautiful adventure that deserves way more attention than what it's probably going to get. If you like The Legend of Zelda series or one of a kind games, you owe yourself to play this. Okami HD is a good action game, but it is a better game about how a dog can make a life better. Okami is a massive and remarkable game and is on the short list of my favorite games of all time. Overall, this is a classic worthy to be remastered once again. The additional features like the 4K resolution and the port to the platforms make the game much more promising. The definitive version of a classic title that belongs in everyone's library. Okami is one of those games that prove video games are art. The game is incredibly beautiful. The gameplay and especially the paintbrush mechanic is so unique and is not seen in almost any other game. Okami is a masterpiece and the release of the HD version of the game is a very good opportunity for those who haven’t played the original game to experience this piece of art. 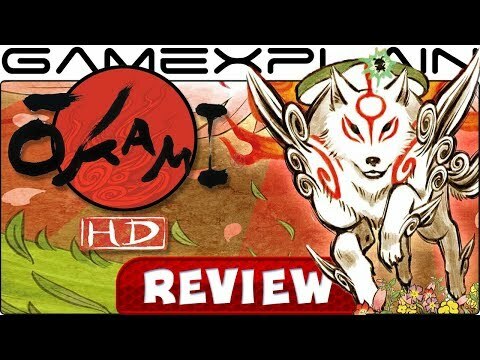 Okami HD is a great opportunity for those who never had a chance to try this masterpiece when the original version was released in the last generation to experience the fantastic journey full of traditional Japanese culture in a high graphic performance. Impeccable, great playable switch port of one of the most enchanted fairytales of all times in a unique suibokuga style. Okami has once again proven itself to be a timeless experience, effortlessly transporting the player into its world and delivering visuals that rival even today's most ambitious titles. Okami HD is literally a beautiful and fun game to play on the Nintendo Switch that celebrates both ancient Japanese culture and this console which is a match made in gaming heaven. The story is interesting, even though it can be a little long winded at times and the gaming environment is a pure joy to explore, especially when matched with the mechanics and controls of this title. 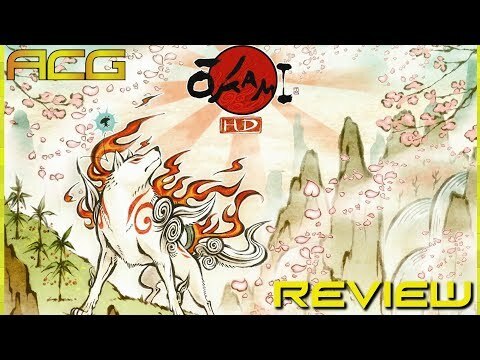 All in all, Okami HD really kept me invested from start to finish and if you're looking for something a slightly otherworldly, this is the game for you. Years are passing and Okami is still wonderfully charming. This time the title came on current generation of consoles and now everyone can experience one of the most magical and the best games in the history. If you haven't already gathered, Okami HD is an utterly fantastic piece of software, and we feel you'd be doing yourself a disservice to pass on it. For a mere twenty bucks, you can have access to a 40-hour adventure that emulates Zelda wonderfully, adds in plenty of memorable mechanics, features one of the most memorable art styles in gaming, and is completely playable on the go, to boot. Though it may be showing its age a bit visually and its combat is sometimes a little on the easy side, Okami is an important, fun, and notable landmark in gaming history — and one of the easiest recommendations we can make for your Switch library. Okami HD was great on the PS3, but is even better on the PS4. This may finally be the definitive version of the game. Motion controls have been dropped, but then again they didn't really feel like they belonged in the first place. Sure, this is essentially the same game for a third packaging, but if you missed the remaster, and especially if you never played the original game, Okami HD cannot come any more highly recommended. Okami is as polished as a Zelda-like experience as they come and the Switch port is close to its best realization. If you've played it through before, there's nothing new here for you other than the soft warmness of a pleasant visual presentation and a smartly made adventure that stands up to the test of time. Okami HD is wonderful. All in all, Okami HD on the Switch is a fantastic version of a fantastic game. A great game which, despite the age, still is ingenious, unforgettable and often spectacular. Okami was a high point of the PS2 era, fusing its action to an incredible art style that was years ahead of its time. Okami HD is a massive game and for £15.99 it swings the score right up there into the high brackets – and if like me you’ve never played it but always fancied giving it a go, now is your chance to let Okami shine. Okami is still as beautiful and enjoyable as it was more than a decade ago, and that is an incredible achievement in and of itself. In Okami HD, we have one of the best and most beautiful games of the sixth console generation, and the great thing about it is that in both of these aspects it has passed the test of time. Age has treated Okami HD well. Even if it didn't come with the resolution boost, it would still be beautiful thanks to the art style alone, and the fact that the game is now on various platforms simultaneously helps greatly. Even with the game's slow moments, the overall gameplay length feels worthwhile, and the mechanics make everything feel tight. As it stands now, Okami HD is really the definitive version of a classic and well worth checking out, especially if you've never played the previous iterations. Let's hope this finally gives Capcom a reason to bring a sequel and not another re-re-re-release in the future. Okami HD is what you would call a unique game. Traditional Japanese culture influences the art-style, the story and just about every inch of the game’s world, Nippon. Nippon itself is a peaceful place to start with, but that peace is suddenly shattered by the forces of evil. It’s up to god of the sun, Amaterasu (in the form of a white wolf), to get things back on track. Okami is one of the best classics from the PS2 days and a highly recommended title for PS4 owners that have never played it before. The game requires some patience from the player, however, it is an amazing adventure throughout feudal Japan even for today standards. Okami HD has proven to be a worthy port of this beloved classic with crisp and clear visuals backed by solid performance. It is an experience that shouldn't be missed especially if you have never played the original game. Okami is one of those games that will always be a delight to play from start to finish everytime it comes up. Even though the only strenght this version has respect from its previous counterparts is its increased resolution, it still offers an incredible story with fantastic gameplay mechanics and gorgeous visuals that are worth to experience. Fans who loved the original game would be amazed to replay it once again and newcomers will understand the reasons why this is considered one of the bests games from all Capcom library. Okami combines typical Zelda gameplay with an extraordinary art style and a world full of interesting mythology. Traditional polygons and surface textures grow muddy and bland with every passing year, while Okami will shine bright for decades to come. Okami is a game that doesn't get the love it deserves. Hopefully, with this beautiful HD rerelease, more fans will come to enjoy the simple pleasures of being a Sun God wolf with a magic paintbrush. Okami HD is essential, especially if you've never been lucky enough to play Clover's 2006 classic before. And even if you have, you owe it to yourself to play it and love it all over again. It's utterly sublime. Okami HD is the long overdue remaster of a true masterpiece: it has aged a bit, but it's fascinating and charming like the first day, ten years now. The wonderful artistic vision is truly enhanced by the support to the new resolutions, keeping the experience intact. Okami is one of the most original action adventures ever created, a videogame everyone should play and enjoy. Despite the fact that only the resolution of the game was optimized, Okami HD is still a game you have to get in 2017. Thank to it's unique cel shading look and the varied gameplay mechanics and puzzles this game still manages to surprise in 2017 and is looking amazing while doing it. f you’ve played it on other platforms, you may not be ready to play through it all again. But if it’s been a few years then you might be ready to have another go. If you are, playing on the Switch gives you the benefit of the best control scheme and portability. It's for this reason that it's not hard to see why the game has amassed a following throughout all these years. A memorable Japanese ethos lives and breathes through Amaterasu and all the characters she encounters on her journey, not to mention the world that bursts to color beneath her paws. Okami is a relaxing game. The lack of challenge isn’t ideal but it lets you focus on what is beautiful about the world and the characters while enjoying the high-fantasy Japanese story. I loved drawing images to fight and change the world around me and was constantly learning new techniques. Okami could have done with some editing to trim the length and a steeper difficulty curve to keep you interested throughout. However, even with its issues, Okami is an absolute joy to play and a steal for $20. Even after more than a decade after its release, this is still a charming and unique in its look, setting, characters and gameplay, and a rewarding experience for those willing to invest the time. If you never played Okami, or are looking to replay this classic, this HD rerelease offers a grand experience for the PC. All said and done, Okami HD is a competent remaster of a beloved classic. 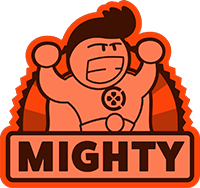 Hopefully we'll see Capcom revisit some of its other PS2 and GameCube era output like Viewtiful Joe and Godhand. Till then, Okami HD is well worth checking out.